Get Drunk for A Good Cause Tonight at The Tradesman! 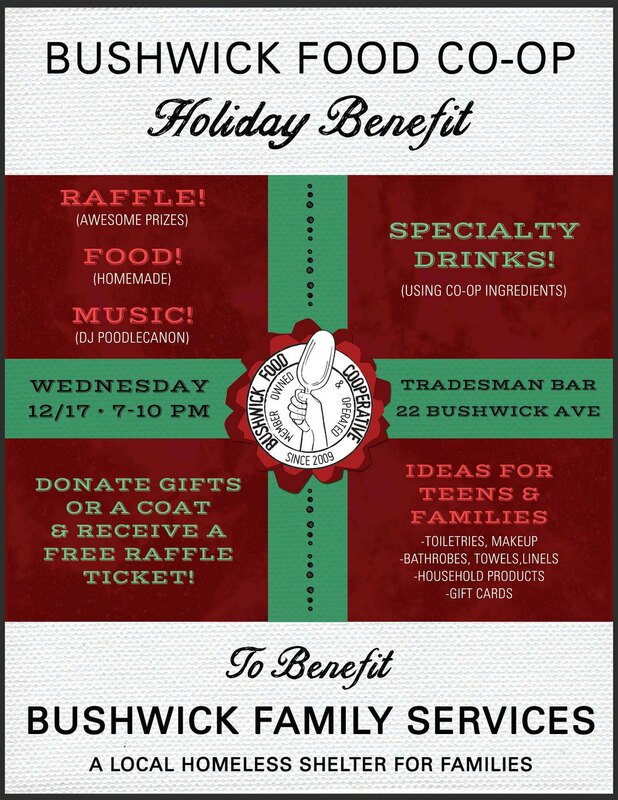 Tonight from 7 PM to 10 PM, Bushwick Food Co-Op will be hosting a fundraiser at The Tradesman! Come prepared to donate a winter coat or gift, and in exchange, receive a free raffle ticket. Gift ideas include: toiletries, makeup, bathrobes, towels, linens, household products and gift cards. So this is not the opportunity to regift your office secret santa present, unless it was a towel, but it is totally an opportunity to swing by Duane Reade and buy something that'll help take the edge off for a family in need this holiday season! And it's a total win-win, because you'll be entered to win a raffle prize, which might be a gift card to the Co-Op, or a bar tab at the Tradesman, or some coffee from Brooklyn Roasting. But whether or not you score big in the raffle, you'll be able to enjoy the musical stylings of DJ PoodleCanon, and sip on a beer whose proceeds will go to help Bushwick Family Services, a local nonprofit that helps out Bushwick families. 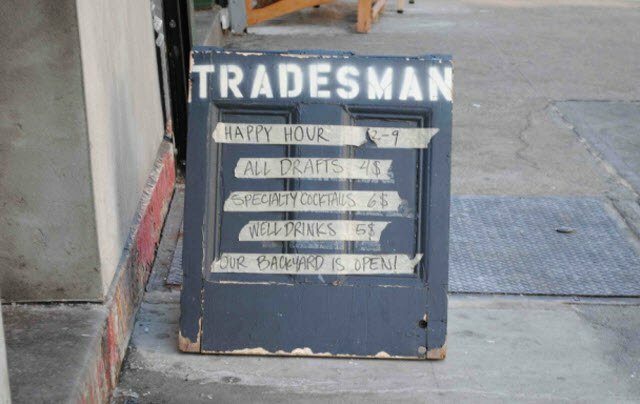 The fundraiser runs from 7 PM to 10, and The Tradesman is located at 222 Bushwick Ave.